UK'S HIGHLY REGARDED HORSE AND ANIMAL COMMUNICATOR. "nasty", "stubborn", "disobedient", etc. are usually just trying to communicate with us. _ or you can have an email communication or phone communicaion. My site is very basic and not fancy as I feel the animals are more important. It may not be the best site on the INTERNET and I have been told it is the worst! but my only interest is in helping animals and horses. so please do not be put off and if you feel you need a communication then please contact me. WHAT IS HORSE COMMUNICATION AND HOW DOES IT WORK? 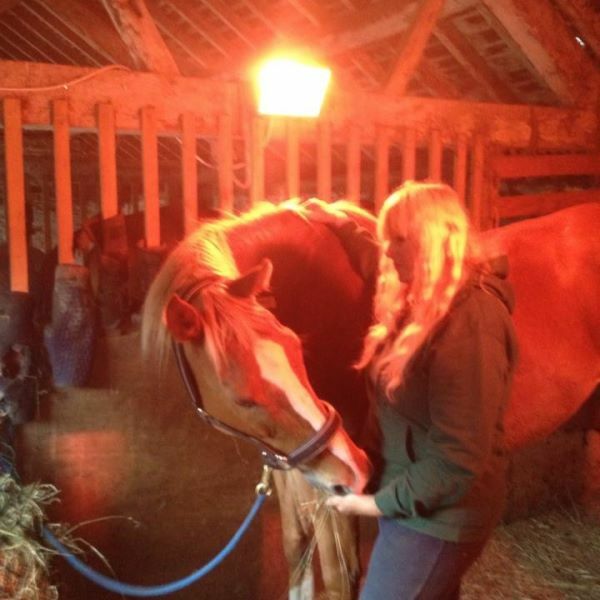 Horse communication and horse healing work well together and horses and most other animals love the gentle energy of Reiki. It is non invasive and takes place during the communication. Does your horse or pony have ongoing health or behavioural problems? (only a vet can diagnoise and treat but advise can be given to help locate any issues)Are you at the stage where you dont know what to do? Are you ready to give up on your horse or riding? Or do you just want to know more about your horse and what he thinks? his likes and dislikes? This is where a communication can help it will not cure the problem but will put you on the right track to getting it sorted. ABOUT MYSELF AND MY HORSES. I have been communicating with horses all of my life, and am also a natural psychic. Over the past 20 years I have been professionally communicating with all animals, dogs cats snakes, and lizards and also the famous 'Paul' the octopus. to name a few. I communicate with horses in America, Italy, France, New Zealand, Australia, Poland, to name a few, and in the UK. I am a Reiki Master Practioner.UKRF SNHS Dip. Crystal Healing, I trained with the BHS and became an instructor BHSAI TEACHING at pony club and riding club. I moved into natural horsemanship within the past 10 years and have incorporated natural horsemanship, based on reward and respect. I have worked with horses all of my life, on showing yards, jumping yards, with race horses, and riding schools. I have owned troubled horses and rescued horses over the years. The horse on the front of first book is Second Chance my dutch warm-blood x cob and Ki my rescue dog now deceased.Chance is 9yrs old. Dog Cat communications by phone or email £35.00 need a photo age and how long have had your pet.